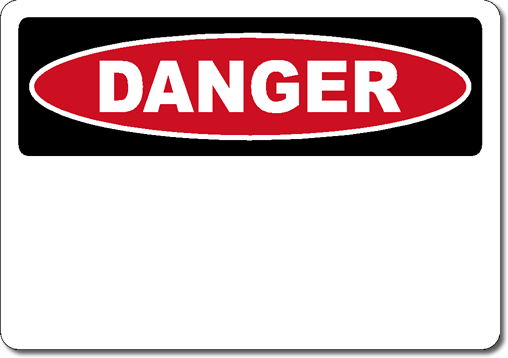 Pressure Sensitive Stick On Vinyl Danger OSHA Sign Blank. Legend: DANGER header just add your custom text. Pressure sensitive stick on vinyl decal has a smooth durable finish. Apply to almost any smooth clean surface.